Information and communication technologies (ICTs) have greatly affected our professional and personal lives in a short time. One of the areas most affected by these technologies is education. The role of ICTs in learning is significant, and today, we can see virtual learning courses in many academic fields. On the other hand, one of the most important functions of academic libraries is supporting the educational programs. With the advances in ICTs, the structure, space, and services provided by academic libraries also changed and we have witnessed a great increase in electronic resources and services in libraries. Due to these changes, libraries managed to continue their support role even in virtual education programs. Since joining libraries, ICTs and education together can have significant effects on virtual learning, this study first investigates the marketing of library services and the role of academic libraries in virtual education programs, and later discusses various library services that can be helpful in virtual learning programs such as preparation and access to information sources, digital reference services, and teaching of information literacy. Finally, the most important skills for librarians in the virtual education environment are investigated. AIM: The main aim of the study is to investigate relationship between alexithymia, psychological signs, social support, and hematological parameters (cholesterol, glycosylated hemoglobin, and blood sugar) in a sample of patients with type II diabetes. METHODOLOGY: One hundred and twenty-six patients with type II diabetes (38 males and 88 females) with a medical history in the division of diabetes of the health center no. 1 in Isfahan participated in the study in 2015. They filled in the Farsi version of Toronto Alexithymia Scale (Bagby, Parker and Taylor, 1994), social support questionnaire in chronic patients (Khodapanahi, 2009), and depression anxiety stress scales (Lovibond and Lovibond, 1995). RESULTS: The results showed that there was a positive significant relationship between cholesterol level and difficulty identifying and describing feelings (P < 0.05) and between glycosylated hemoglobin and anxiety and stress (P < 0.05). Furthermore, there was a negative significant relationship between fasting blood sugar and emotional support (P < 0.05). DISCUSSION: Therefore, it is therapeutically important to regard the psychological states of patients (especially alexithymia, psychological signs, and social support) to make a speedy recovery of type II diabetes. CONCLUSION: Regarding the results, it can be concluded that complexity and extent of effects of diabetes on an individual with alexithymia make diabetes difficult to treat and prevent its progress. INTRODUCTION: Many factors affect academic success of students among which are learning strategies and factors associated with them. This study aims to evaluate the effect of teaching mindfulness on learning strategies and learning of students in Isfahan University of Medical Sciences in the first semester of 2012. METHODS: In this study, 62 bachelor degree students were randomly selected and placed in case and control groups. Mindfulness training was carried out in 8 sessions. Before and after training, all students were asked to fill Weinstein learning strategy and 80-item mindfulness questionnaires. RESULTS: Analysis of the results showed that mindfulness training caused statistically significant improvement in components of information processing in the area of skill, attitude in the area of enthusiasm, and self-examination in the area of self-regulation (P ≤ 0.05). CONCLUSION: These results show that mindfulness training is successful in improving some components of learning strategy and academic performance. AIMS: The present study was conducted with the purpose of preparing the regression model of academic procrastination among university students based on their metacognitive beliefs and self-esteem. METHODOLOGY: The present study is a correlational study with a regression modeling. The population included 2062 students, of which a sample of 324 students was selected based on proportional hierarchical sampling based on Cochran's formula. The instruments of the study included Savari academic procrastination scale, Wells' metacognitive scale (Wells, Cartwright-Hatton) and Coopersmith self-esteem scale. RESULTS: The results indicated that there is a negative and significant relationship between the indexes of self-esteem and academic procrastination. The indexes of metacognitive beliefs had a positive and significant relationship with procrastination. The examination of different indexes indicated the consistency between the model and the data. Moreover, the direct path of self-esteem to procrastination was negative and significant. The results of the study show the significance of the direct role of metacognitive variables in explaining procrastination among the students. CONCLUSIONS: The person possessing metacognitive skills is a purposeful person who uses time management techniques, meaningful practice to reduce procrastination, and self-esteem enables the student to act efficient and meaningful in assignments to reduce procrastination. AIM: The present study was carried out with the aim of assigning the effectiveness of intensive short-term dynamic psychotherapy on affection control of anxious women who referred to Consultation Centers in Esfahan. METHODS: The research method was quasi-experimental and with pretest–posttest using control group. Statistical population of this study included anxious women who had referred to Aban, Aeein, and Milad-e Noor Consultation Centers in Esfahan in 2016. Among them, 30 persons were selected through convenience sampling and were divided randomly in two control and experimental groups (each included 15 persons). The experimental group attended 15 dynamic psychotherapy sessions that each session lasted 60 min. None of the members of control group attend dynamic psychotherapy sessions. The instruments of the study included Zung's Self-rating Anxiety and Williams's Affection Control Scale. The data collected from scales were analyzed by covariance analysis and using the SPSS-23 software. FINDINGS: The results showed that intensive short-term dynamic psychotherapy increased the score of affection control in anxious women (P < 0.05). CONCLUSION: Considering the results and findings, we conclude that intervention of intensive short-term dynamic psychotherapy improves and controls affections in women. AIM: The aim of this study was to evaluate the effectiveness of acceptance and commitment therapy (ACT) on psychological, social, and spiritual health of the patients with angina pectoris. METHODOLOGY: Research method was semi-experiment, and research design was two groups with pre- and post-test. The statistical population comprised all cardiovascular patients who referred to the Seddygheh Tahereh Cardiovascular Research Center. Among them, 30 patients were selected voluntarily and then randomly assigned to experiment and control groups. The study instruments comprised the Lifestyle (Lali et al.,) and Demographic Questionnaires. The data were analyzed using analysis of covariance. RESULT: The findings indicated that there was no significant difference between experimental group and control group in psychological, social, and spiritual health (P < 0.05). CONCLUSION: ACT can be effective in promoting psychological, social, and spiritual health of the patients with angina pectoris. 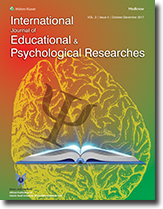 AIM: The aim of this study was to investigate the relationship between cognitive emotion relation and tendency to addiction in adolescents in Isfahan, Iran. METHOD: The participants of the study were all 14–17-year-old students in Isfahan. Four hundred participants were selected as the sample group with the use of multistage cluster sampling. The instruments included in the study were questionnaires of cognitive emotion regulation and tendency to drug abuse. The data were analyzed through correlation coefficient and regression analysis. Regression analysis indicated that there was a significant relationship between all the components of cognitive emotion regulation and tendency toward addiction in adolescents (P < 0.001). FINDING: The findings of the study showed that the difficulty in emotion management being resulted by the problems of drug abusers, and this condition leads to a failure in the management of individual emotional states. Furthermore, considerable importance of emotion regulation in the psychopathology of these individuals was not indicated. CONCLUSION: It can be concluded that the investigation of the emotional factors in relation with individuals' tendency toward addiction was significant, and in the field of prevention of drug dependence, education could help individuals in improving emotion regulation. AIM: This study aimed to investigate the relationship between attachment styles, self-regulation, and academic achievement in students. METHODS: This was applied research in terms of purpose and descriptive-correlational research.The research population included all third-grade students of public high schools in Ilam, that were 700 students who were enrolled in 2014–2015 academic years. The sample included 248 students of the third grade in high schools of Ilam, that were selected using multistage cluster sampling method and table of Morgan. Tools were Bouffard's questionnaire of self-regulation in learning and revised adult attachment scale. Pearson's correlation and stepwise regression were used to analyze data. RESULTS: The results showed that there was no significant relationship between attachment styles and academic achievement, but there was significant positive relationship between self-regulation and academic achievement (P ≤ 0.01). There was a significant positive relationship between secure attachment style and cognition (P ≤ 0.01). Furthermore, results showed that there was significant positive relationship between avoidant attachment style and self-regulation (P ≤ 0.01) as well as cognitive and metacognitive components (P ≤ 0.01); however, there was no significant relationship between insecure attachment style and self-regulation and its components. CONCLUSION: Regression analysis results showed that 0.1% of the observed variance in academic achievement scores was explained by effect of attachment that was not significant. AIM: The present study was undertaken to evaluate the causal relationship between academic emotions, self-regulated learning and academic motivation, and students' academic achievements. METHODS: According to Morgan table, the participants consisted of 381 high school students who were selected using cluster random sampling method. Data were collected with the use of academic emotion questionnaire (Pekrun, Goetz and Frenzel, 2005), self-regulated learning scale (Pintrich and DeGroot, 1990), academic motivation scale (Harter, 1981), academic motivation scale, and students' mean grades and analyzed with Pearson's correlation coefficient and path analysis statistical methods. Data were analyzed with LISREL 8.54 software program. RESULTS: The results showed that positive academic emotions had a direct, positive, and significant effect, and negative academic emotions had a direct, negative, and significant effect on self-regulated learning and academic motivation. Self-regulated learning had a direct, positive, and significant effect on academic achievements; however, academic motivation did not have a direct and significant effect on academic achievements. In addition, positive and negative academic emotions had no indirect and significant effect on academic achievements through academic motivation. The variable academic motivation was not a good mediator between positive and negative academic emotions and academic achievements. Positive academic emotions had an indirect, positive, and significant effect and negative academic emotions had an indirect, negative, and significant effect on academic achievements through self-regulated learning. CONCLUSION: The variable self-regulated learning was a good mediator between positive and negative academic emotions and academic achievements. Based on the results, emphasis is placed on the importance of the effect of academic emotions and self-regulated learning on academic achievements.